The floor plan design within the exposé gives a first impression. Quality decides whether the potential buyer takes a second look or walks by. According to our experience, real estate sales presentations often lack in quality and appealing floor plan design. 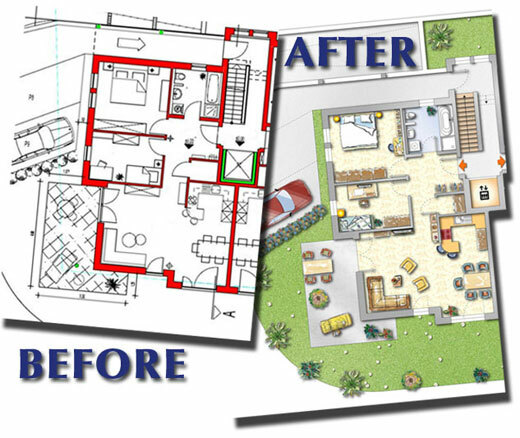 You are into real estate and you have a floor plan with doubtful floor plan design and so you felt that you are in need of better floor plan-design ? OK, here we are. We deliver your redesigned floor plans fast, professionally and economically. The german version you can find at 3D Architektur Design.